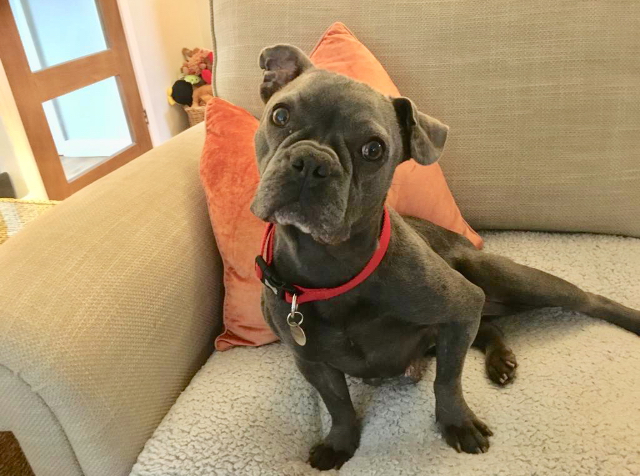 Minnie is a stunning traditional solid French Bulldog with a wonderfully sweet nature. She was sadly found dumped in Faversham in the early hours of the morning in freezing conditions after clearly having not long had puppies as she was still producing milk. She was taken to a vets immediately who were shocked to see that she had clearly been bred to excess, her teats and stomach were extremely overstretched and she was in very poor condition, she had a bad infection in both ears and was clearly underweight and, after investigation and x-rays, what we thought may be elbow dysplasia was actually an old serious break to her elbow joint which had been horrifically left to heal without veterinary treatment. Minnie settled into her foster home immediately and thoroughly enjoys her home comforts, particularly cuddles on the sofa. She is great with people of all ages and also with other dogs, although she doesn’t interact with them much. She requires gentle handling as she will cower immediately if she hears raised voices. 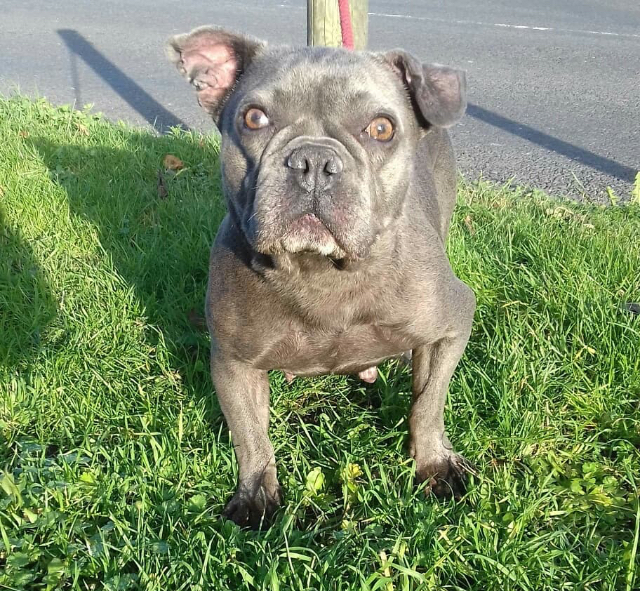 Despite her rather wonky gait Minnie loves her walks and is very polite on the lead, she is also good in the car, clean and quiet in the home. She has a good appetite but care must be taken in her new home not to allow her to become overweight which will cause extra pressure on her damaged forelimb. 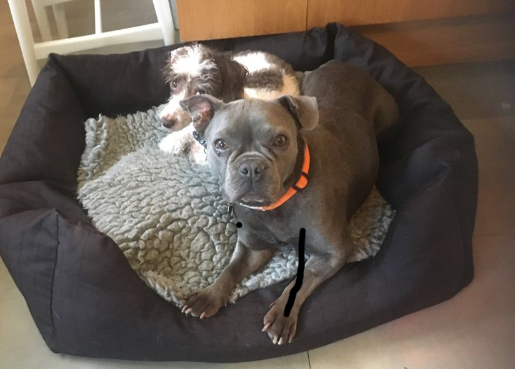 As she ages Minnie may develop arthritis or pain in her previously damaged elbow, however it doesn’t cause her any issues at the current time and our vets are agreed that she is not in pain and surgical intervention is not currently required. We are looking for a loving home where someone is at home for most of the time, she could happily live as an only dog or another calm dog but she doesn’t like cats very much. She would also be suitable to live with school age children although please be aware that she is scared of raised voices as mentioned above. Minnie is approximately 5 to 6 years old, is neutered, vaccinated, microchipped, flea and worm treated and being fostered near Deal, Kent.